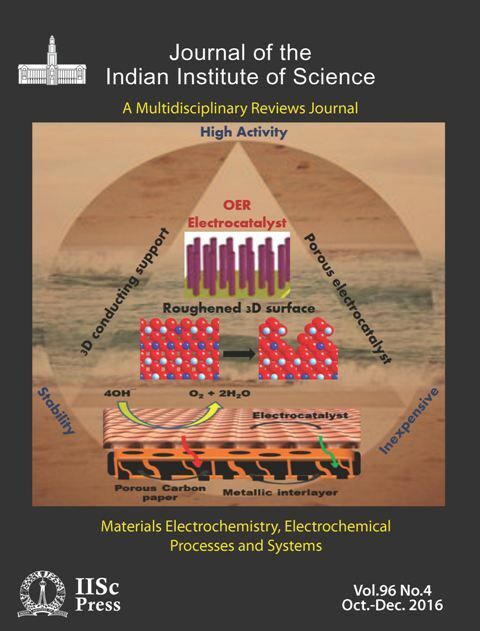 The Journal of the Indian Institute of Science has been published by the Institute since 1914. Since its origin, research work carried out by the Institute and other institutions around the world was accepted for publication in the journal. The format was changed and it became a quarterly journal in the year 2007. Since then only review articles are being published, each issue being edited by an eminent researcher donning the mantle of a ‘Guest Editor’. Authors selected by the Guest Editor and / or the Editorial Board are invited to submit their review articles; each issue is expected to serve as a review of a field from multiple viewpoints. Aim of the Journal: The Journal aims to serve the broader scientific community through scholarly review articles by experts of renown, covering all fields of science and technology. The first impact factor received: 0.857 during the current year (2016). Indexed in the Web of Science. The Journal will be co-published by the Springer from 2017. An approach to solar driven hydrogen generation will be to couple an electrolyzer to a photovoltaic device for which it is imperative to design highly active, stable and inexpensive oxygen evolution reaction electrocatalysts with porous three-dimensional electrode architecture. Metallic interlayers within such composite electrode assemblies not only provide effective electron percolation pathways but also modulate the electronic structure of the active electrocatalysts.